Ubuntu 14.10 Community Wallpaper contest started on Flickr Group of Ubuntu. 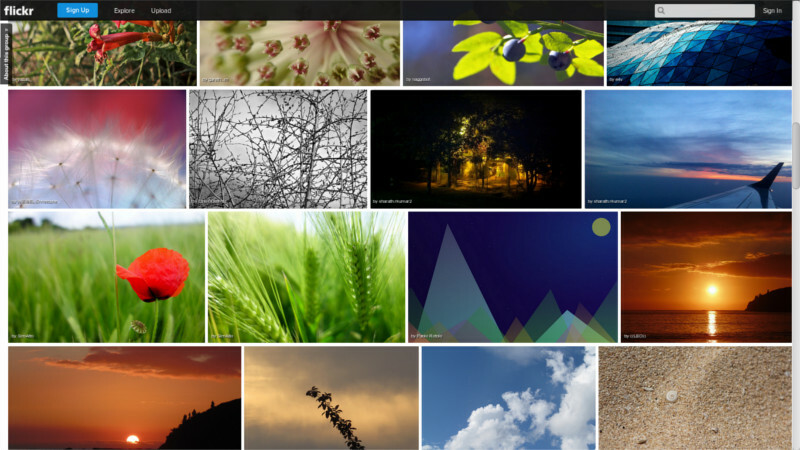 Ubuntu 14.10 Wallpaper contest is now open for your entries. The community wallpapers are included in Ubuntu 14.10 DVD Image by default with the default wallpaper. These wallpapers are selected from the entries submitted in the Utopic Unicorn Wallpaper Submission Group in Flickr. A panel of artists and photographers from the previous winners will select the images from the current submissions. The Ubuntu wallpaper competition is a traditional fixture in the Ubuntu development cycle and has run twice yearly since 2009 and the release of Ubuntu 9.10 Karmic Koala. Every artist or photographer who have a flickr account can submit his/her entry to the group. This time the entry is limited to two images per user. So create or take your best photograph and join the group then submit your entries. avoid overt branding (illustrated Unicorns notwithstanding) and aim to impress. You’ll also need a Yahoo! account (flickr account) for submissions are to be made through the Flickr photo sharing service. Deadline for all submissions is August 29, 2014 at 18:00 GMT. A panel comprising of the previous releases’ chosen artists will sift through entries to pick the best. The winning wallpapers will be revealed on September 9, 2014, ahead of the User Interface freeze for Utopic. To view the submissions click the link below and view the flickr pool. The license of the photographs are CC-BY-SA. So You can download them and you can use on your own desktops also. To take part (or browse entries made thus far) head on over to the 14.10 Flickr pool, linked to below. The Ubuntu GNOME wallpaper contest is also still accepting entries until next Friday, August 15.